After the success of the first two editions, Buenos Aires becomes the South American Championship event that will be held on November 04, 2018. IRONMAN 70.3 Buenos Aires South American Championship will be the biggest event of the circuit in this distance within the South American continent with 2500 participants. This new challenge is already under way to confirm that excellence will be achieved by the various athletes, so it will be a pleasure to receive them again. 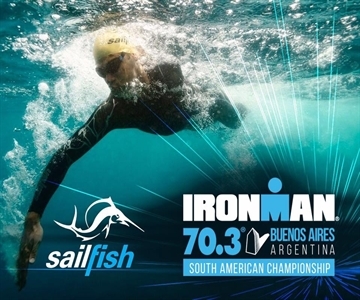 The IRONMAN 70.3 Buenos Aires South American Championship offers 75 slots for the IRONMAN 70.3 World Championship in 2019. Professionals compete for $75,000 prize purse plus World Champ Slots.